King Crow is President of Crow Finance and Realty. King Crow has spent 36 years in real estate finance, development, and banking. He began his career with JMI, a newly-formed REIT in Dallas. 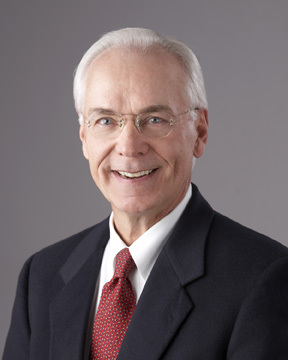 He managed the commercial real estate finance divisions for two financial institutions, First Federal Savings and Loan and First Commercial Bank, before starting Crow Mortgage Company, a mortgage brokerage and real estate development company operating in the southwest with offices in Little Rock and Dallas. King also served as chairman of the board and principal stockholder of a Little Rock financial institution, Arkansas Federal Bank. From 1993 to 2000, King took a seven-year sabbatical to apply his business experience in the non-profit sector. He served as President of FaithWorks, an organization dedicated to connecting the resources and practices of the business community to nonprofit organizations to increase their capacity to reach more people and change more lives. From 1993 to 1998, he served as Executive Director of the International Headquarters of The CoMission, a partnership of more than 80 nonprofit organizations united to partner with the Government of the former Soviet Union to train educators in a Christian ethics and morality curriculum. The CoMission raised $70 million, to teach and support 2,000 Americans to train 50,000 teachers in 3,000 schools in 70 cities throughout the former Soviet Union, which in turn reached over 25 million students. In 2000, King returned to the real estate finance business, starting Crow Finance and Realty, providing real estate investment banking services. King was born in 1948 in Memphis, Tennessee and grew up in Little Rock, Arkansas. He attended college at the University of Arkansas-Fayetteville, American College in Paris, France, London School of Economics, and graduated from the University of Texas, with a B. A. in Economics. He has been married to Anne Stinson Crow for 30 years. They have two sons and a daughter: Andrew, Peter, and Mary. Peter Crow has 11 years of experience in real estate, banking, and private equity finance. Following his graduation from The University of Texas at Austin in 2001, Peter worked for Spaulding and Slye Colliers International in Washington D.C. 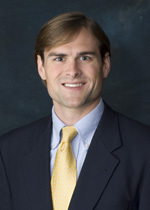 He moved to Dallas in 2003 to work with KeyBank Real Estate Capital as a portfolio manager. In 2005, he joined Crow Financial Partners providing debt and equity financing for real estate, private equity and energy initiatives. Peter serves as partner and CFO for Crow Financial Partners, Vice President of Finance & Administration for Centennial Mineral Holdings and he currently manages two energy funds, Partnership Minerals I & II. Peter received his Bachelor of Arts degree in Economics from the University of Texas at Austin and earned his Masters in Business Administration from Southern Methodist University. Henry Fink leads GRDI with 42 years of hospitality real-estate experience. For most of his career, Mr. Fink has been involved in the development of hotels and destination resorts around the world. He has taken an active role in over fifty projects, including Hilton International, Hyatt International, Holiday Inn Hotels, AmanResorts, OneandOnly Resorts, and destination golf resorts, including ClubCorp International (CCA). 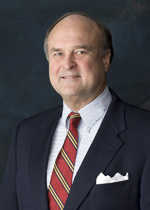 In addition to GRDI ’s hospitality and real estate activities, Mr. Fink’s background includes corporate experience in Development and Asset Management with the Wynncor Group (Hong Kong Hilton, Malta Hilton, and Bali Hyatt), City Developments Limited (Singapore), Kerzner International (Bahamas), Hollywood Casino Corporation (USA), and a lodging partnership with the Rosewood Corporation (Texas). He also supervised the development of 22 hotel projects in Mexico, the Caribbean and Central America as V.P. and Director of Projects of Posadas de México, SA de CV. As a licensed real estate agent, he has brokered transactions in commercial real estate, hotels and resorts. Mr. Fink’s career spans projects throughout the world in the United States, México, Central America, the Caribbean, the Mediterranean, and Asia/Pacific. 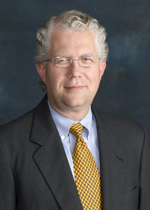 Received a degree in economics from the University of Texas in Austin and also studied International economic development, regional studies and languages at the University of Vienna, Austria (Institute of European Studies) and the Universidad Nacional Autónoma de México, México, D. F.
Randy Warner has 22 years of experience in the real estate industry. Prior to joining Crow, he was an executive with HomeBuilder.com, which was purchased by Homestore.com to combine with its successful Realtor.com website. Homestore.com went public in 1999 and it remains the leading Internet site for residential real estate on the Internet. At Homestore.com, he was responsible for product development, research and industry relations with the home building industry. He worked for 13 years with American Metro Study, the nation’s leading consulting firm for the home building industry. During that time, he opened and ran their Florida Division. He also worked for two years with the Trammell Crow Company in their industrial real estate division. He is past Trustee for National Seniors Housing Council, has designed and taught a variety of educational courses for the National Association of Home Builders, and has spoken to numerous conferences on the home building industry.